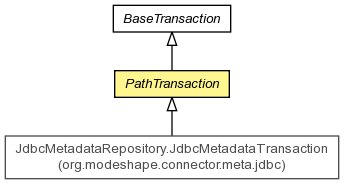 An implementation of Transaction that maintains a cache of nodes by their path. Creates a new child node under the supplied parent, where the new child will have the specified name, properties, and (optionally) UUID. Create a new instance of the node, given the supplied name and parent path. Attempt to find the node with the supplied path. Get the changes for the supplied workspace, optionally creating the necessary object if it does not yet exist. Find in the supplied parent node the child with the supplied name and same-name-sibling index. Get the children for the supplied node. Get the locations for all children of the supplied node. Find the node with the supplied unique identifier. Returns the parent of the supplied node. Removes the given node from the repository. Get the changes for the supplied workspace, optionally creating the necessary object if it does not yet exist. The changes object is used to record the changes made to the workspace by operations within this transaction, which are either pushed into the workspace upon commit() or cleared upon rollback(). Attempt to find the node with the supplied path. This method is "Changes-aware". That is, it checks the cache of changes for the workspace before returning the node. Creates a new child node under the supplied parent, where the new child will have the specified name, properties, and (optionally) UUID. The child will be appended to the list of children, and will be given the appropriate same-name-sibling index. Inserts the specified child at the specified position in the list of children. Shifts the child currently at that position (if any) and any subsequent children to the right (adds one to their indices). The child is automatically removed from its existing parent (if it has one), though this method can be used to reorder a child within the same parent. This method can also be used to rename an existing child by 'moving' the child node to the existing parent and a new desired name. However, if no 'beforeOtherChild' is supplied, then the node being renamed will also be moved to the end of the children. Create a new instance of the node, given the supplied name and parent path. This method should do nothing but instantiate the new node; the caller will add to the appropriate internal structures. Find in the supplied parent node the child with the supplied name and same-name-sibling index. This method returns null if the parent has no such child. Returns the parent of the supplied node. This method returns null if the supplied node is the root node. Sets the given properties in a single operation, overwriting any previous properties for the same name. This bulk mutator should be used when multiple properties are being set in order to allow underlying implementations to optimize their access to their respective persistent storage mechanism. The implementation should not change the identification properties. This implementation does not support querying the repository contents, so this method returns null. Subclasses can override this if they do support querying. This implementation does not support searching the repository contents, so this method returns null. Subclasses can override this if they do support searching.